The 14th edition of EXIT attracted the largest attendance in the festival's history and the Petrovaradin Fortress, buzzing with energy as record numbers enjoyed the diverse range of acts and stages in this unique location. The 14th edition of EXIT attracted the largest attendance in the festival's history and the Petrovaradin Fortress, buzzing with energy for 5 days, as record numbers enjoyed the diverse range of acts and stages in this unique and awe inspiring location. "EXIT 2013 succeeded beyond all expectations with audience numbers significantly up on last year. We are especially proud of the fact that the leitmotif of the festival was happiness and smiles on people's faces, which made EXIT a specific oasis of positive energy and awakened optimism". said and enthused EXIT Festival's CEO Dušan Kovacevic. Renowned for it's amazing atmosphere this years EXIT offered festival-goers even more music and entertainment with the addition of a new Day Zero. Standout headline performances included; Atoms for Peace, David Guetta, Fatboy Slim, Nick Cave & The Bad Seeds, Snoop Dogg aka Snoop Lion with Nile Rogers kicking things off in style at the opening party with all proceeds going to the restoration of the Fortress. The Prodigy's performance on Friday also attracted a record-breaking audience of 35,000 people. The legendary Dance Arena attracted record numbers of electronic music fans with Fatboy Slim setting the standard from the start and getting festival goers pumped up to party for the days to come. Jeff Mills and Pan-Pot seduced the audience with uncompromising techno sets, and huge interest in David Guetta's set resulted in breaking the Dance Arena record, with around 25,000 people tirelessly following his tempo. The honour to close the festival was in the hands of Swedish superstar Eric Prydz and Dubfire, who kept the audience on the dancefloor until early hours, confirming the Dance Arena's status as one of the best open-air dancefloors in the world. Musical diversity is one of the most valuable characteristics of EXIT, with many smaller stages around the festival site offering a variety of music and entertainment from Riffs & Beats, Urban Bug, Latino and Reggae Stage, to Silent Disco, Radio As FM, HappyNoviSad, Discozone, OTPevaj Karaoke and the Gaia Experiment Trance Stage. The ever popular after 2am program on the Main Stage was also given a boost this year with UKF joining the ranks and serving up the best and most exciting names in bass music including; Chase & Status, Camo & Krooked, Diplo, DJ Fresh, Feed Me, Friction, SBTRKT and Skism. - Dance Arena's attendance record was also broken, with over 25.000 during David Guetta's performance. - Fusion Stage's attendance record was broken during the performance by Dubioza Kolektiv. - The largest amount of single-day tickets in the history of the festival was sold – 20,000, with a record entrance speed - 300 people per minute entering. As well as the Music, EXIT never forgets its beginnings and aims to evolutionize the revolution it started more than one decade ago with several key topics to improve initiative, engagement and further development of young people. 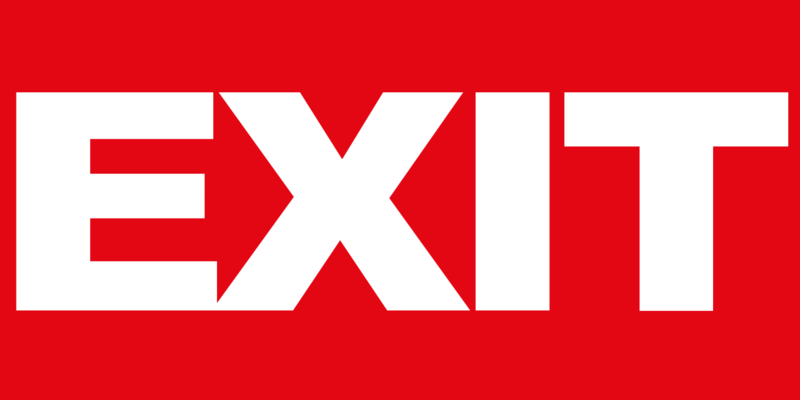 EXIT is the only music festival to be created as an effect of youth activism and aims to continue to mobilize the public opinion and thought leaders in the field of youth development on a regional and a global level. On the opening day of the festival, and the birthday of Nikola Tesla, one of the greatest scientists and inventors of all time, an initiative for Serbia's (re)branding took place with EXIT taking a leading role in promoting positive changes and the image of Serbia and Balkan region to the world and boost its tourism and economy development. An agreement with the cooperation of the University of Novi Sad and EXIT was signed, with a goal to promote the importance of culture, science and education among the youth and the society in general. A special tribute was paid to one of the biggest scientists and inventors of all time, the brilliant Nikola Tesla, whose name was featured on the name of the festival's main stage, as well as the Tesla Corner, named after the famous Tesla Corner in New York City, where the visitors had the opportunity to interact with various experiments. Through a series of public discussions, media articles, workshops, lectures by successful startups, Exit is encouraging young people to take destiny in their own hand and start their on start up business. Several workshops took place on festivals were mentors were giving free lecturing about various topics including; how to create/produce electronic music. The leading European eco-conference Go Group in cooperation with the European Festival Association was also held, alongside a large number of socially responsible actions that were created during the festival, and whose results will come to life during the next edition of the festival. Other projects EXIT are involved with are promoting positive role models for young people in the region and highlight all those young, talented, creative people who work hard everyday to make positive change in their own life and their community. Exit donated hundreds of free tickets to the best students, youth activists, young artists and young humanitarian workers. EXIT. Where hedonism meets activism.